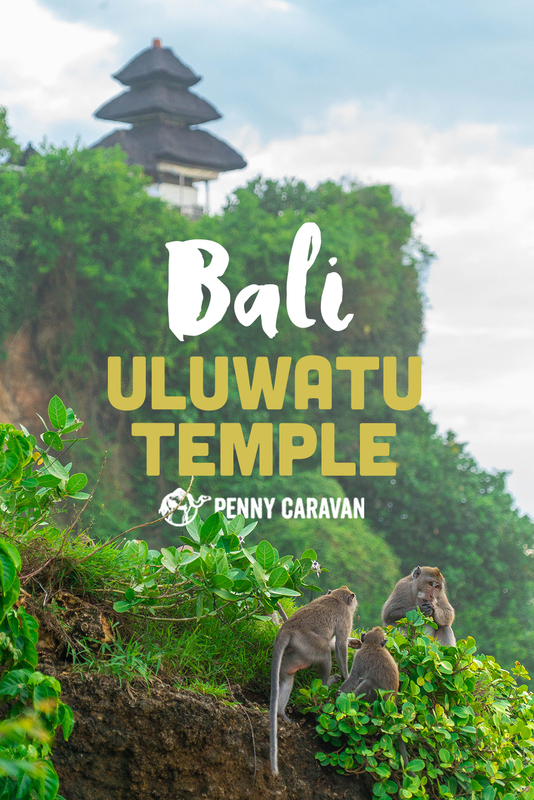 Of the thousands of temples on Bali, six are considered the main “directional temples” which provide spiritual balance for the island. Of these six, only one is also a “sea temple” which surrounds the perimeter and provides spiritual protection for the island. 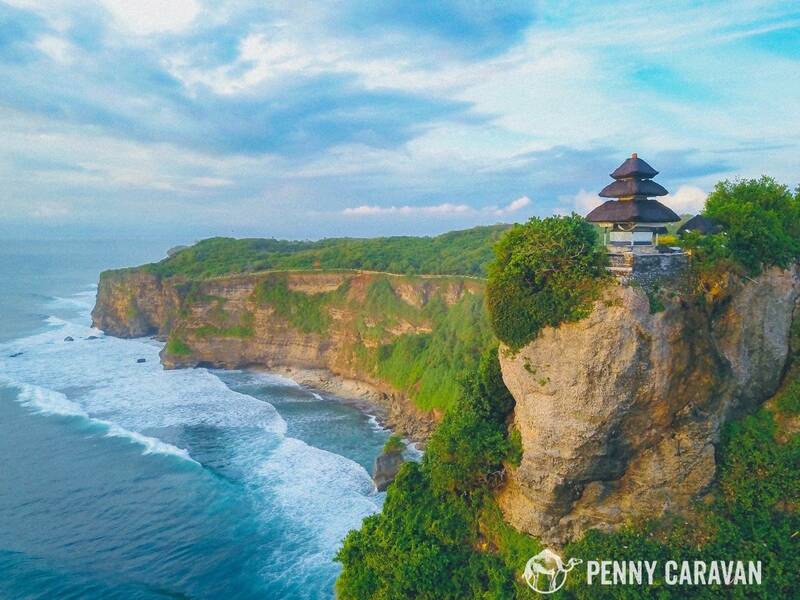 Pura Luhur Uluwatu is a most auspicious site, perched on a steep 70 meter sea cliff, offering stunning views. 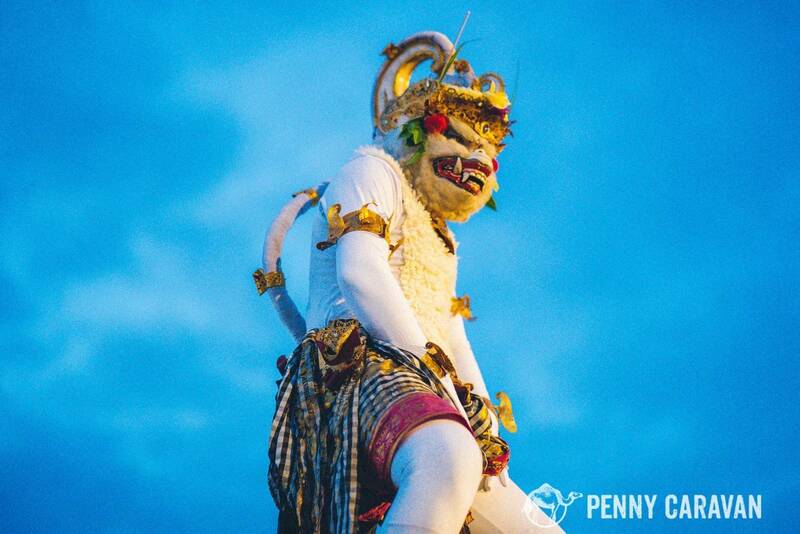 And if the photo op isn’t reason enough to visit, you can also stay for a performance of the famous Kecak fire dance as you watch the sun set over the sea. 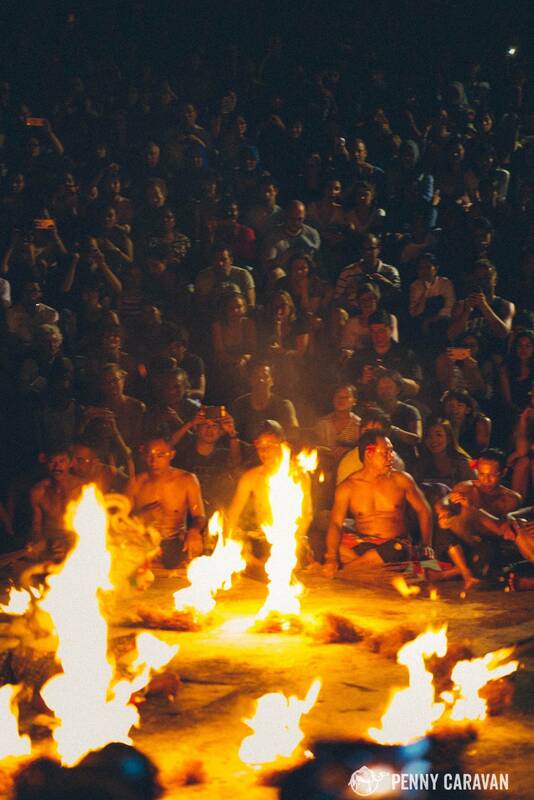 The amphitheater on site accommodates a large crowd to watch the Kecak performance at sunset. 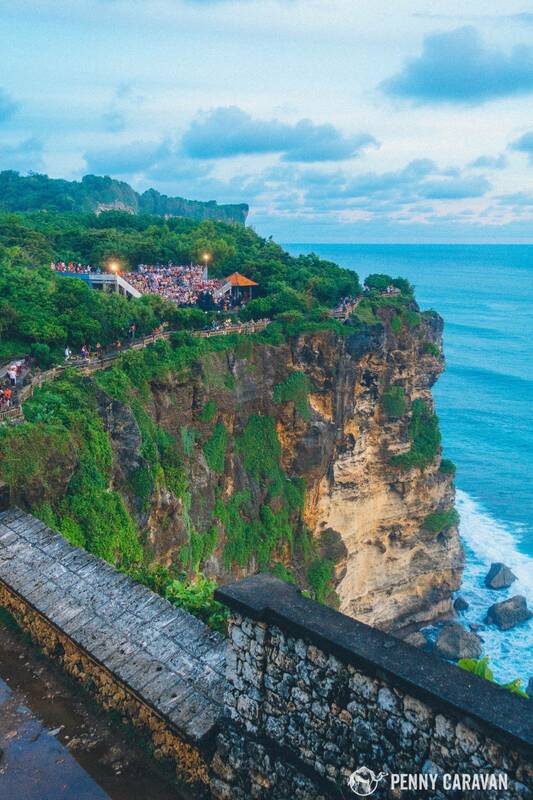 The best way to visit Uluwatu is to hire a roundtrip driver who will wait for you during the Kecak performance. From the InterContinental Resort where we were staying, it cost us Rp 350,000 (about $26 USD) to hire a driver. He also purchased our performance tickets for us so that we wouldn’t have to stand in line and risk them selling out. 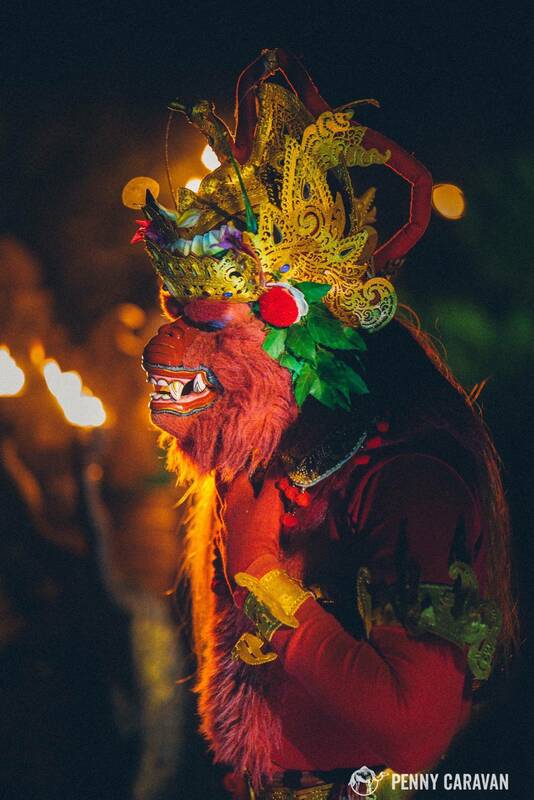 If you’re visiting in the evening, allow yourself about 2 hours to visit the temple before the performance as there will be a large number of people there and it may take longer than expected to maneuver the crowds. 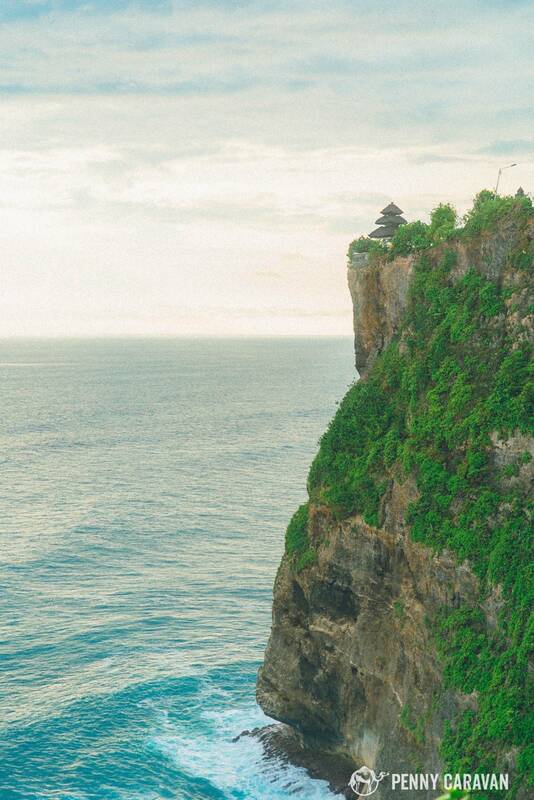 The temple itself isn’t much of an attraction, but the walking path that goes north along the cliff will allow you to soak in the stunning ocean views. It may take about 45 minutes to walk in order to get far enough away from the temple to get a good photo. Please note there are lots of stairs. From the walking route looking back to the temple to the south. There are even a few ledges to get your photo taken with the temple in the background. Shot from a drone, but here you can see the walking route along the cliff. 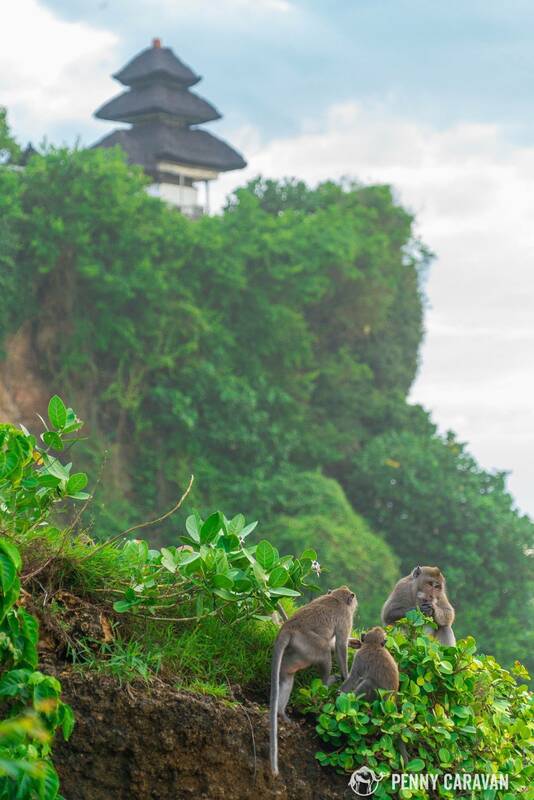 The temple is home to dozens of macaque monkeys, and you’ll hear from everyone that these are quite an aggressive bunch! In fact, our driver removed his taxi sign from the roof when we arrived for fear the monkeys would steal it. 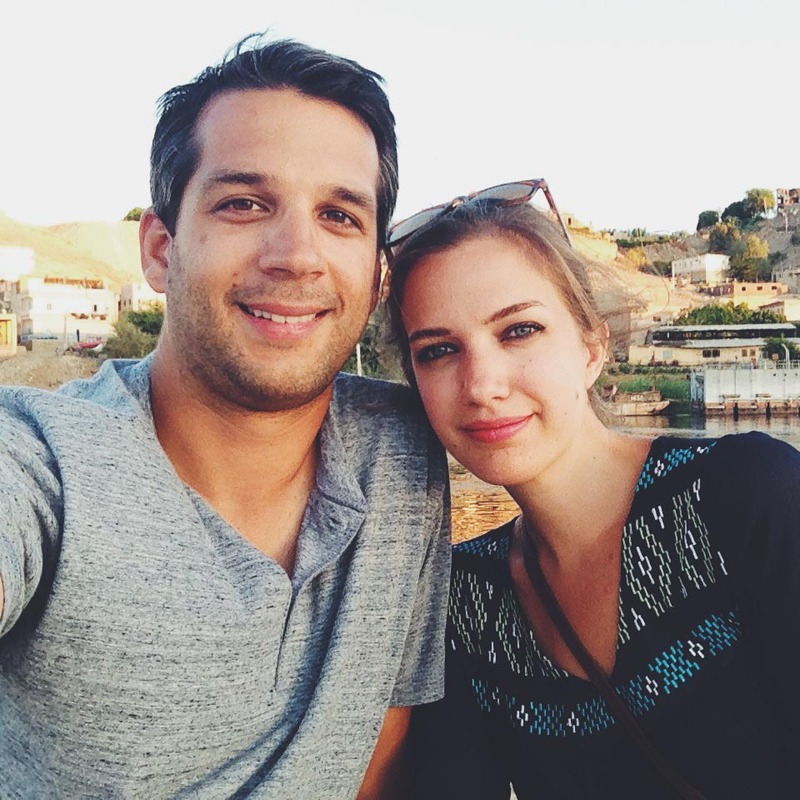 We witnessed them turning over trash cans and perching along the fence to grab sunglasses off the heads of unsuspecting tourists. If this happens to you, do not try to take your belongings back because these monkeys will fight! Get the attention of one of the guides, and they will have fruit to offer the monkeys as an “exchange” to return your belongings. Of course, in the incident that we witnessed, by the time the man got his glasses back they had been chewed up, twisted and urinated on. 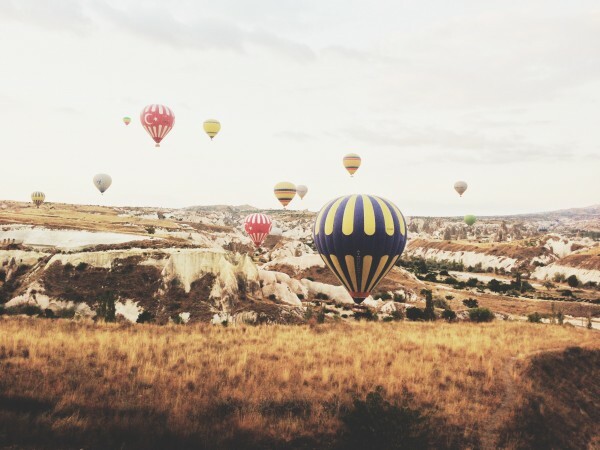 Perched up high so you won’t notice them until they jump on your shoulders to pickpocket you! 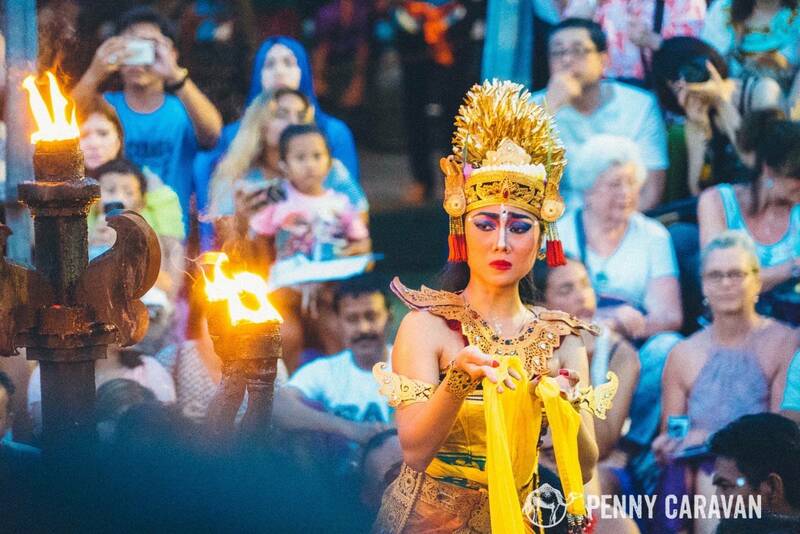 Walking back to the south of the temple will bring you to the amphitheater where the Kecak performance will be held. They oversell the theater, so you’ll need to arrive early to grab a seat or you’ll be standing shoulder to shoulder with the late arrivals, and the performance takes a little more than an hour. 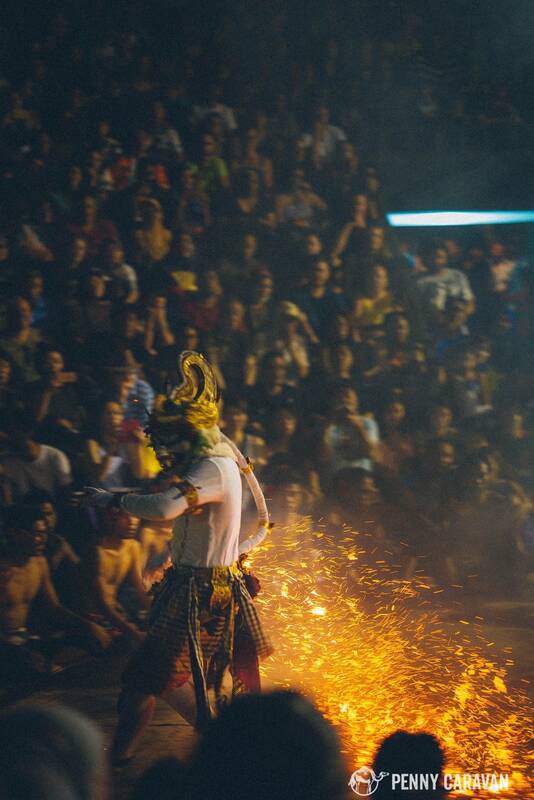 While most Balinese dance is accompanied by a gamelan, the Kecak is only accompanied by a troupe of about 40 chanting men. Their chant sounds like cak ke-cak ke-cak ke-cak, hence the name. You won’t really be able to tell what’s happening in the story line, but the costumes and dancing will definitely keep you entertained. The white monkey character was especially charming, walking through the crowd to take selfies with the kids. The fire ring is the coolest part of the show, and the white monkey will throw sparks around and walk over hot coals. 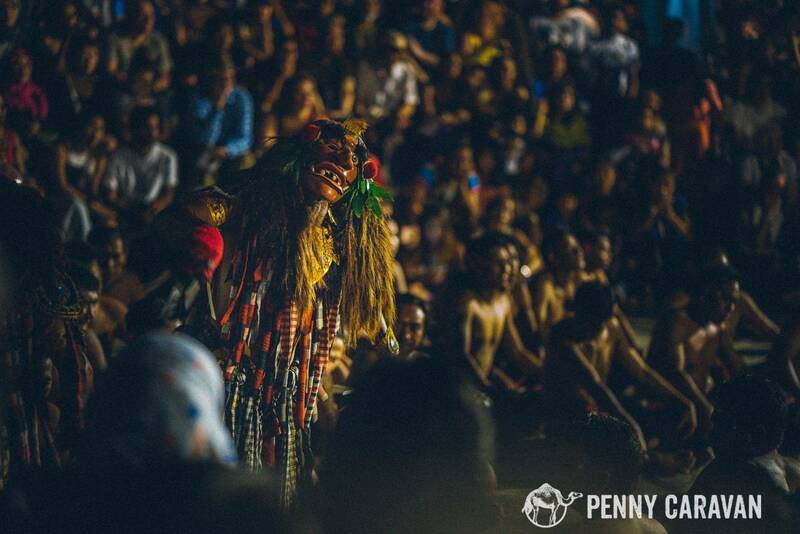 The white monkey may appear scary to kids, but he becomes the most beloved character, interacting with the crowd. Our view of the temple as we watched the performance. 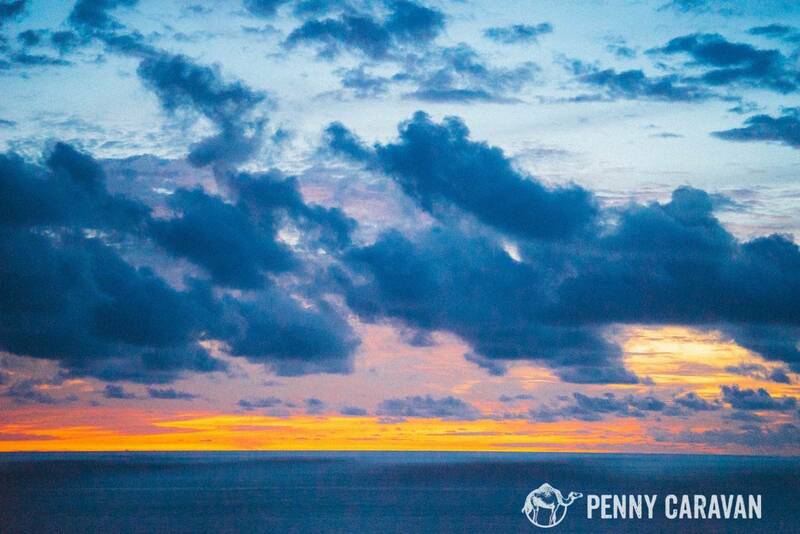 The amphitheater is an amazing venue, offering this perfect view of the sun setting over the Indian Ocean as you watch the performance. The white monkey stamping out the fire. Another character, the red monkey. Lots of costumes and characters in this performance. The amphitheater seats about 1,000, so this was definitely the most crowded place we visited during our time in Bali. 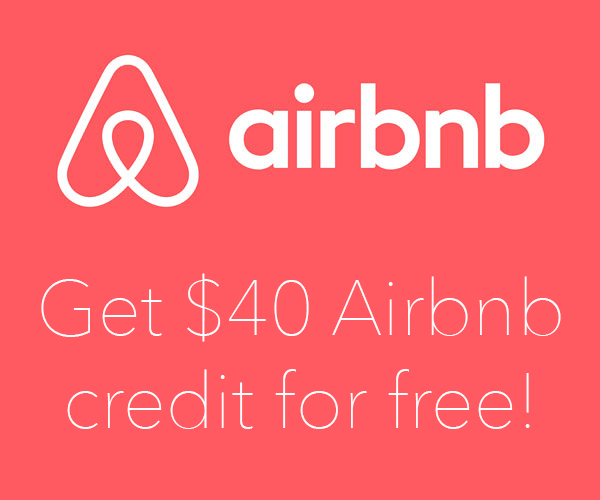 But don’t let that scare you away from seeing one of the most beautiful and important temples on the island! 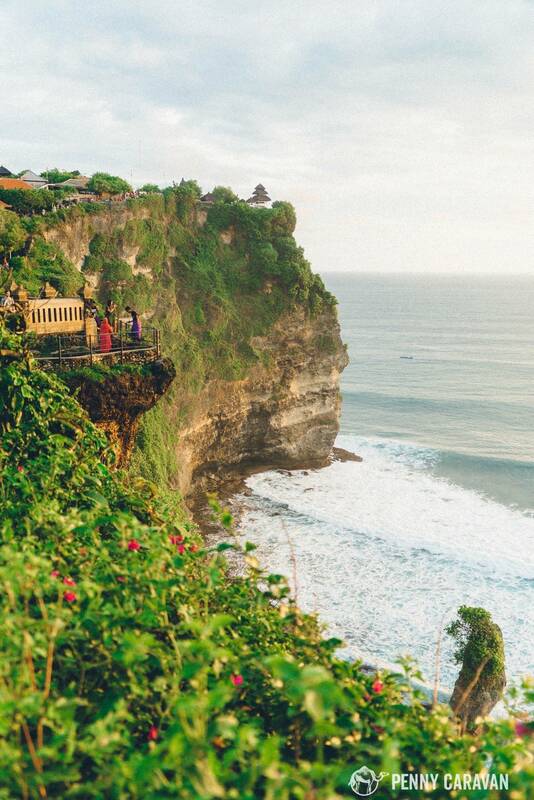 It was a visit we will always treasure for the stunning landscape and the chance to witness one of the great dances of the Balinese culture. 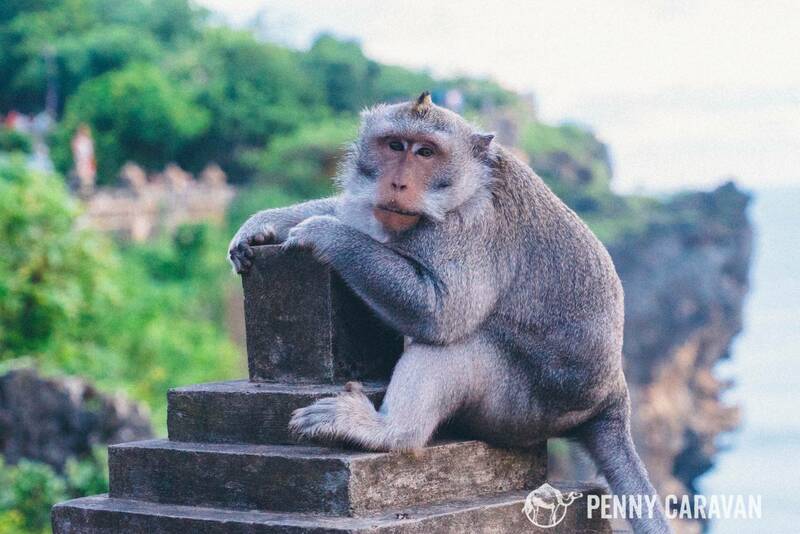 Take your camera, keep clear of the monkeys, and enjoy your time at Uluwatu!